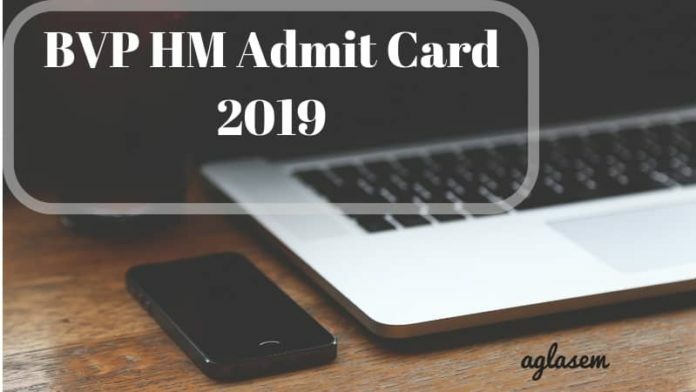 BVP HM 2019 Admit Card/ Hall Ticket – The candidates who will successfully submit their application form will be issued the BVP HM 2019 Admit Card. The applicants will be able to download it by online mode only at admissions.bvuniversity.edu.in. It can be expected that the admit card for BVP HM 2019 shall be available a week or two before the test. 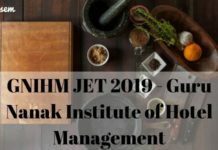 To get the admit card, you need to log in by entering details such as User ID and Password, The Institute will not send any printed admit card to the candidates individually. Hence, it is solely the responsibility of the candidate to download their admit card on time. The applicants must bring the print out of the BVP HM Admit Card 2019 on the day of the examination. However, along with it, you also need to bring other documents as well. The candidates can check the complete information about the BVP HM 2019 Admit Card/ Hall Ticket from this page. Admit card is one of the most important document to be carried to the examination center. Any candidate without the proper printout of the admit card will not be allowed to take the examination. 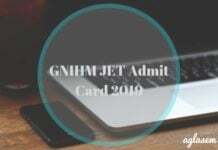 Dates regarding the release of BVP HM Admit Card 2019 has not been announced by the university. Although the assumed month of released per last year is given below in the table. Any official announcements regarding dates will be further updated here. Admit Card: The candidates will be able to download their admit card for the written exam at admissions.bvuniversity.edu.in. How To Download BVP HM Admit Card 2019? The Candidates can check the complete process for downloading the BVP HM 2019 Admit Card by following the instructions as given below. Click on the direct link which will be provided above on this page for downloading the admit card. Next, you need to log in by providing details such as User Id and Password (generated at the time of registration). Click on the “Sign In” button to submit the login details and the admit card will be generated on the screen. Download the admit card and take its printout to carry the same to the examination center. The photograph must be checked properly. Admit card being the most important ID proof is to be carried to the examination center. Along with the admit card candidates will be required to carry some other document as proof. The documents to be carried is an original valid photo Id proof such as. digital wristbands connected to phones etc are allowed to be taken inside the examination hall under any circumstances. The examination to be conducted by Bharti Vidyapeeth will be a written examination the patter for which would be as explained below. The pattern of written examination is given in the table below. If you have any questions about the BVP HM 2019 Admit Card, then let us know in the comment section below. 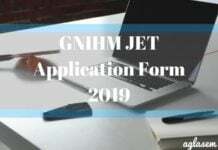 The information provided on this page for BVP HM 2019 Admit Card is as per last year’s information. The page will be updated as soon as the information for the academic session 2019 is announced.